At the beginning of August, the Berlin City Hall will be completely dedicated to chess. Players from Berlin, Germany and abroad come together in the heart of our city to compete in a fair competition at the invitation of SC Zugzwang 95 e.V.. I would like to extend a warm welcome to all participants. And I would especially like to welcome the guests from abroad to Berlin. Our world is characterised by rapid change, which also shapes games and sport. But the passage of time has not affected the charm of chess, which has fascinated people all over the world for centuries. The chess tournament in the Berlin City Hall is not only an opportunity for sporting competition in a special environment. It will also serve to establish contacts and offer many opportunities for exchange across city and country borders. I thank SC Zugzwang 95 e.V. for the organisation of the tournament. I wish all participants a successful and enjoyable stay in Berlin with many new impressions. This summer, the historic ambience of the Red Town Hall sets the scene for the 1st Berlin Open. 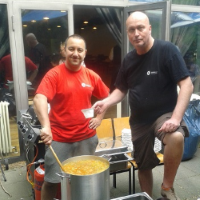 SC Zugzwang 95 e.V. invites people from all over the world to the European metropolis Berlin for five days. 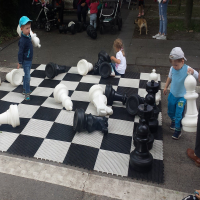 The competition at the chessboard is cosmopolitan and we are happy to offer all participants an opportunity for creative encounters at the chessboard at the place where the 2nd World Chess Champion Emanuel Lasker works. A registration can be made by the tournament management when the capacity limit is reached, or rejected for other reasons, the order of binding effect shall apply. Registration with entry fee payment. Registrations on site are only possible if there is free capacity by the registration deadline. Personal registration is a prerequisite for admission to the tournament. The tournament will be evaluated according to Elo and DWZ. 7 rounds Swiss system, draw with the current version Swiss Chess. The star ranking list will be formed according to the TWZ - higher number of Elo/ DWZ. Recipient: SC Zugzwang 95 e.V. Further cash prizes and non-cash prizes. Double prizes are not possible. The award ceremony requires the presence at the award ceremony! In exceptional cases the tournament management will decide. There are lots of prizes from digital equipment to great software to books that make you even smarter than you already are. Let us surprise you! In addition, a free ticket for the winners of the respective age groups ( U8 | U10 | U12 | U14 | U16 ) für for the Main Tournament of Berlin Open 2020.